I am days away from celebrating my one month anniversary at my new job and I could not be happier about how everything is going. I love the church family that I am serving, I love my boss and co-workers, I love my role as lay minister more than I could have ever dreamed, and I love the ways it has benefited our family. The whole experience has blessed me and my crew so very much, and I am grateful beyond words. One of the ways that our family is benefiting is from my new schedule. While I am working as many hours (and sometimes I will work many more during Christmas and Holy Week etc.) as I was before, they are arranged differently and are much more flexible. This pace and flexibility is exactly what I wished and prayed for over the past year, as it became increasingly evident to Sweet Man and I that something had to change in my work situation in order for me to keep my sanity, and be present to our family life. During all those discussions and prayers, I never thought that being a minister would be the solution that presented itself to our quandary, but thank goodness for surprises! Ok, so what does this have to do with Blueberry Muffins? Well, one of the ways I wanted to be present for our family was to make breakfast’s for the boys before school on a more consistent basis. When I was a kid my mother made us some sort of homemade breakfast almost every morning during the school years. They weren’t always fancy or even great (sorry Mom,) but they were there and so was she. This year Wylie began High School and Miles began Middle School. Their time here at home is growing shorter by the day and I desperately don’t want to miss it. I want to be here. I want to be present. So I am making them breakfast just like my mother did. 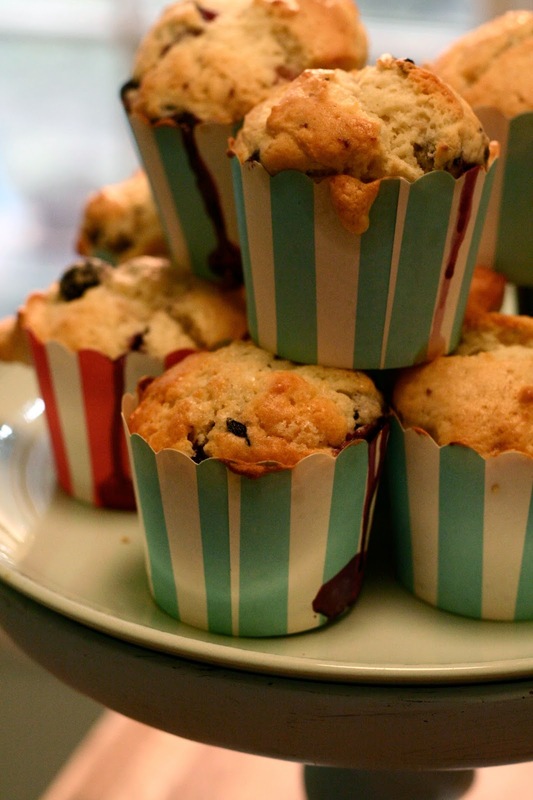 Sometimes it’s muffins like these, sometimes it’s eggs and sausage, sometimes it’s oatmeal. 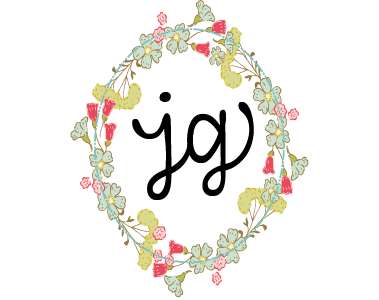 Sometimes its fancy and sometimes it’s not very good. But regardless, I am there. Does it make a difference to them that they are eating eggs and muffins and not cereal? It may be a small thing to them, but it is a huge thing to me, and part of my job as the momma is to do what I think is important, even if they take it for granted. Do I think that everyone should get up and make their kids a homemade breakfast? Nope. Not at all. Do I think that you know the place where you need to show up and be present for your kids? And it probably something that would never hit my radar, and that is okay. You know your family and what they need and that is the only thing that matters. Don’t compare your parenting or family life to others. That is a useless road to travel, and will only frustrate you more. I know. I have traveled it often. But do fight for the change that you know is needed. And take heart – if what your family needs right now seems impossible, don’t give up. Keep an eye out for even the slightest, smallest sliver of an opportunity that will help turn things around. Be alert and tenacious in your search for a solution. It is out there. And know that I am praying that your life takes an unexpected, wonderfully surprising turn, allowing you to show up the way you want to show up for your kids, to do for your family what only you know in your gut needs to happen. 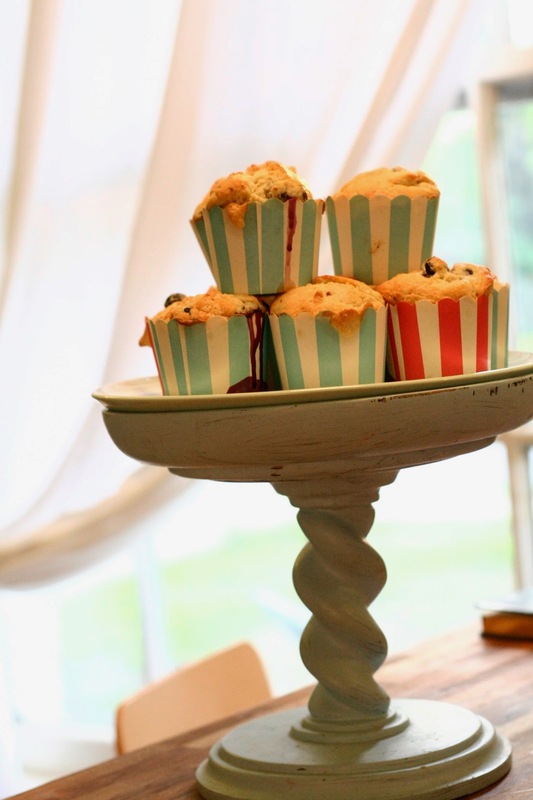 In the meantime, here is a muffin recipe that was really as yummy as it looked! 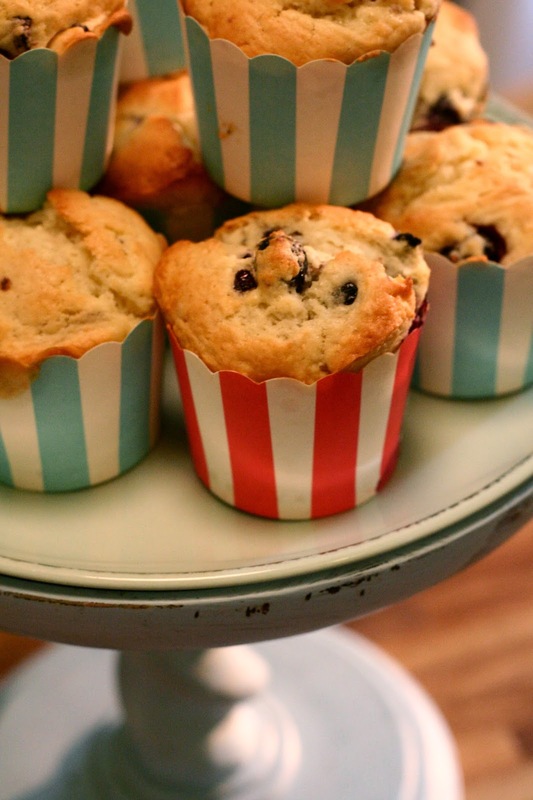 This recipe is based on the Perfect Blueberry Muffin Recipe from Smitten Kitchen. I have been looking for a great from-scratch blueberry muffin recipe for a while now, as I am trying to move away from prepared foods/box mixes. This one was recommended to me and it is easy and delicious! Add egg and beat well, then yogurt, sour cream, and lemon zest. Put flour, baking powder, baking soda and salt into a sifter and sift half of dry ingredients over batter. Sift remaining dry ingredients into batter and mix just until the flour disappears. Gently fold in your blueberries. 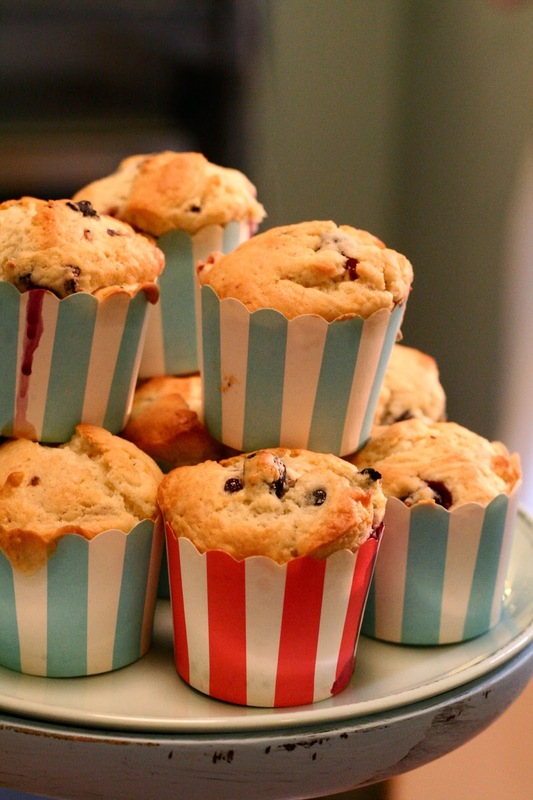 Add dough to muffin cups. You’re looking for them to be about 3/4 full, nothing more, so you might only need 9 instead of 10 cups. “Does it make a difference to them that they are eating eggs and muffins and not cereal? This post spoke to my heart tonight. Thank you! 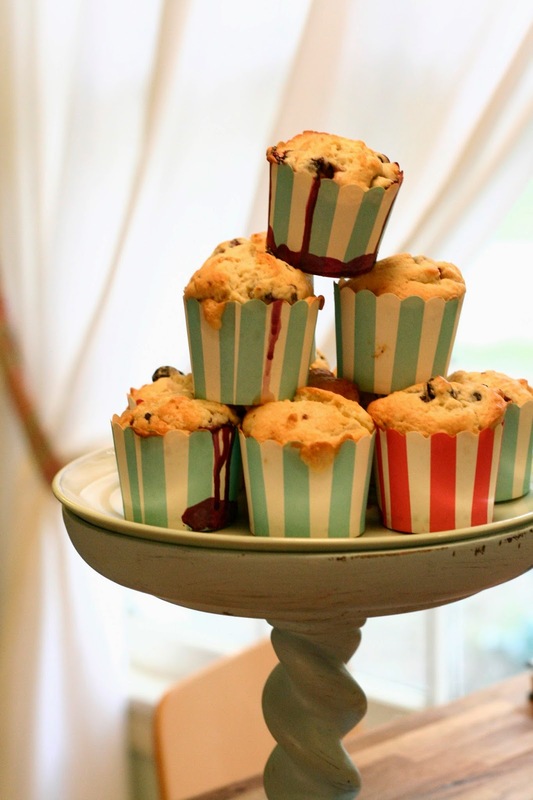 Oh and the muffins look delish. Will have to try them for my sweet girl's breakfast!